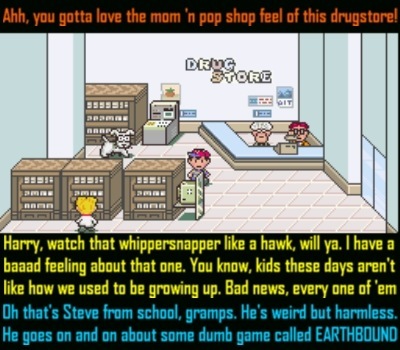 One of the most notorious games from the vast Super Nintendo library is without a doubt EarthBound. 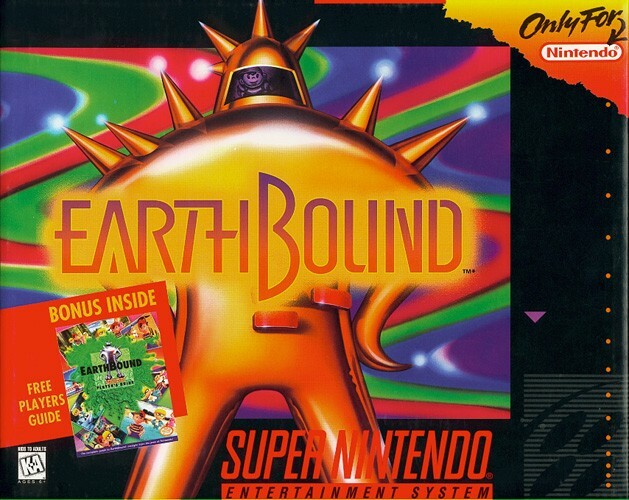 Released 21 years ago, it stood out in the crowd of RPGs by having a contemporary setting, a zany sense of humor, and a very unique style. And as the years passed, the game grew in demand, popularity and reverence. 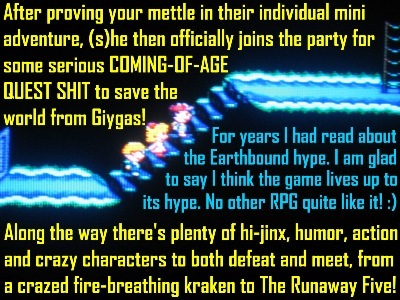 So much that some people would even tell you that the game has been overhyped beyond belief. 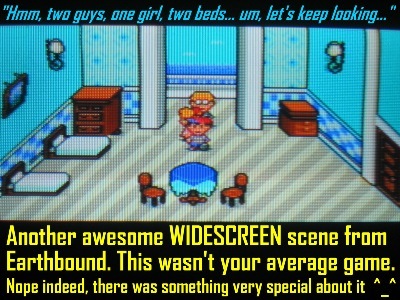 In 2012, I finally got to play through EarthBound. 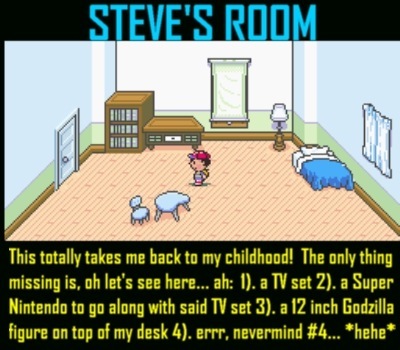 It was an adventure the likes of which I’ll remember FOREVER. 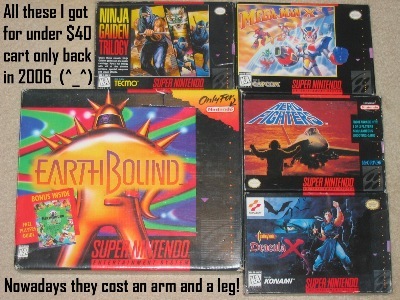 When I got back into the Super Nintendo scene 10 years ago in early 2006, the games were still quite cheap. I picked up titles like Ninja Gaiden Trilogy, Castlevania: Dracula X, Aero Fighters, Mega Man X³, and EarthBound each for $40 or less. No such luck doing that today! It boggles the mind how crazy expensive these old games are now. 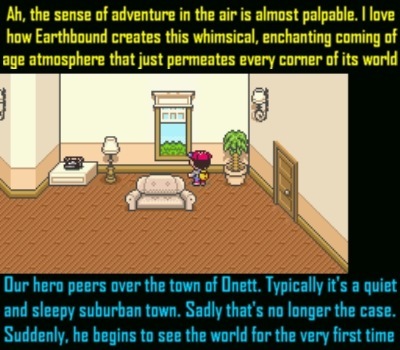 Back in 2006, EarthBound didn’t carry the mainstream reputation it would later gain in recent years. It was just another game I’d never played back in the day but was now interested in doing so. 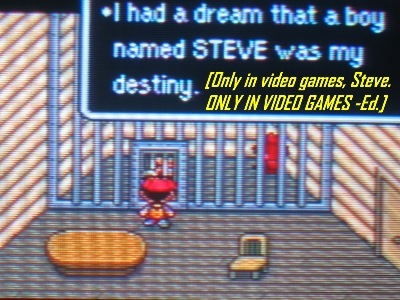 I never imagined in my wildest dreams that the game would become the monster that it is today. It makes me wonder how much these games will command 5 to 10 years from now. All I know for sure — I’m glad I got in when I did and got out before the market went sky high. Life is truly about timing, and a little lady luck never hurts too! 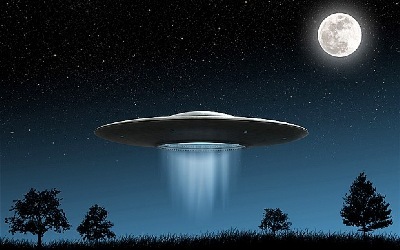 As a kid UFOs fascinated me. Alien beings that lived far above us in the outer reaches of space. The idea that intelligent (and possibly menacing) creatures living above us is mystifying. Growing up, I would scan the skies late at night with my binoculars hoping to see something, yet at the same time dreading the possibility that something might see me back. My best friend Nelson and I became obsessed; we even had the odd “sky stakeout” here and there. While it may sound a bit sad, there are worse ways to spend an evening than to hang out with your best friend shooting the breeze and scanning the skies while sharing a pepperoni pizza. 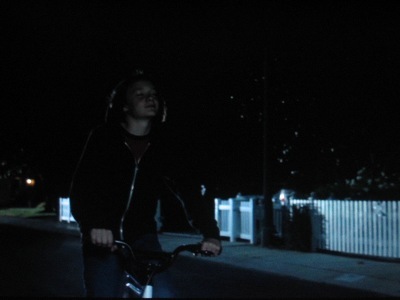 We never saw anything, not even once, but I think Nelson and I both silently understood that we used it as an excuse to veg out on a Friday night after a long school week. 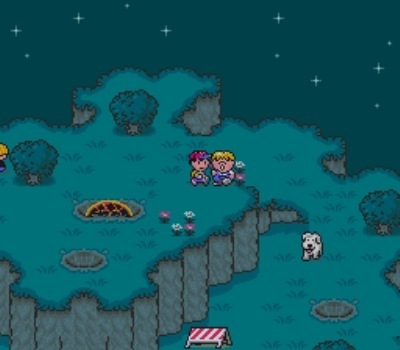 About once a month we’d bust out the lawn chairs, set our piping hot Totino’s pizza on the little table outside, kick back and talk about our crushes on Jenny and Elaine, video games and anything monster-related while staring out at the beautiful early evening sky. Munching on cheesy carbs and sipping on fizzy soda, Nelly and I would gaze up at the sky talking the night away. 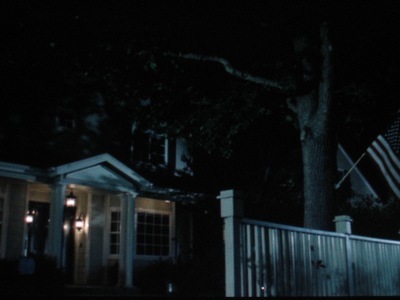 We’d stay outside so late that his mom would flip the back porch light on. 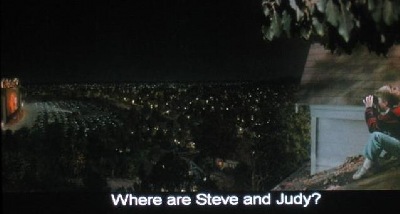 Those “stakeout” Friday evenings have stuck with me all these years later. Time marches on, but I still recall those lazy nights vividly. 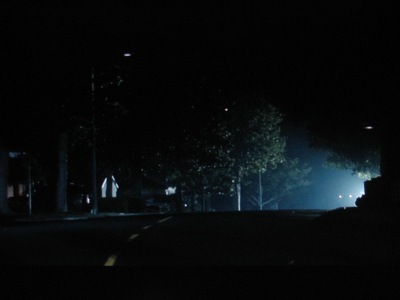 The best thing about UFOs for me was the idea that they could be anywhere. The Loch Ness Monster was confined to Scotland, Bigfoot could only lurk in the woods, but aliens could be anywhere. 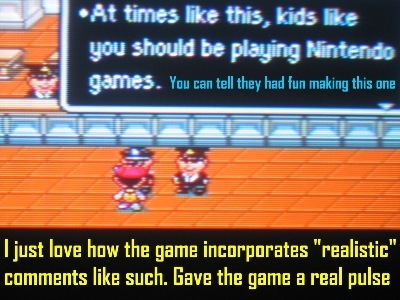 The idea that they could be watching you at any time was all part of the fun of believing in them as a kid. And the fact that aliens could be whatever you wanted them to be. Maybe friendly and precocious like E.T., or deadly and malicious, or just advanced and neutral. They were whatever you made them out to be. 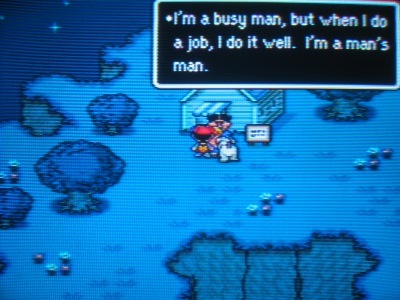 EarthBound is awesome for a myriad of reasons. 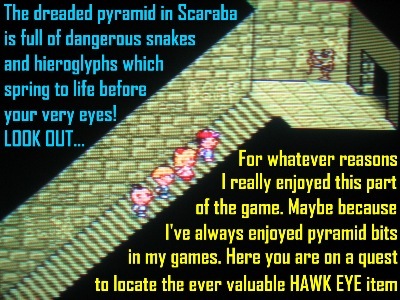 One being they took a lot of my childhood interests and crammed them into one epic RPG. 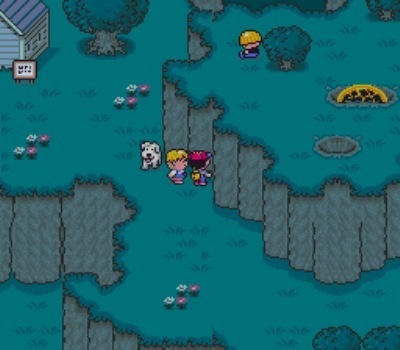 Nessie, Bigfoot, aliens, dinosaurs, zombies — EarthBound strikes a certain childhood chord with me no other video game ever has. 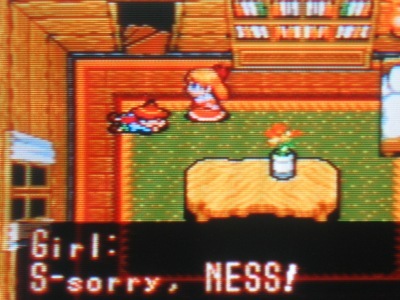 An all-American kid living in an all-American town, Ness is proof that there lies a hero deep inside each one of us. He’s the kid next door, with a loving mom, a plucky sister and a workaholic but extremely generous dad. 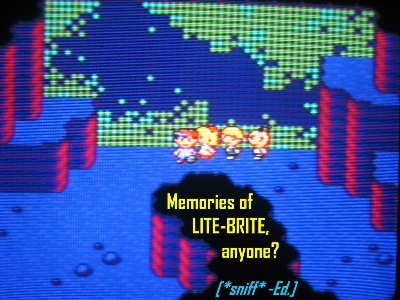 One minute Ness is living a basic ordinary life, but when the meteorite crashes, everything changes. 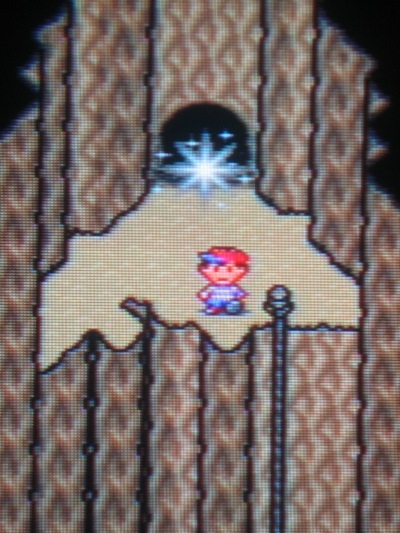 An alien believes Ness to be the chosen one with the power to alter cosmic events. A nice all-around character with a good balance of speed, IQ, offensive power and psychic ability. 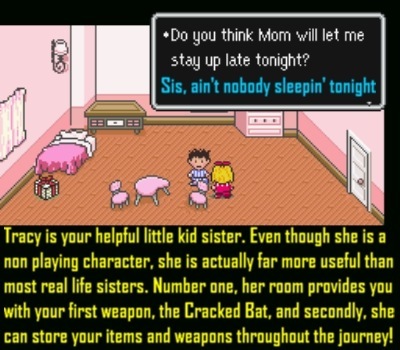 His weapon of choice is a baseball bat. 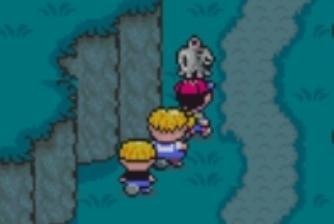 This journey will drain and test Ness at every step of the way. He enters it as a kid, but one way or another, he’s going to leave it a man. Remember your Winnie Cooper growing up? You know, your biggest childhood crush? 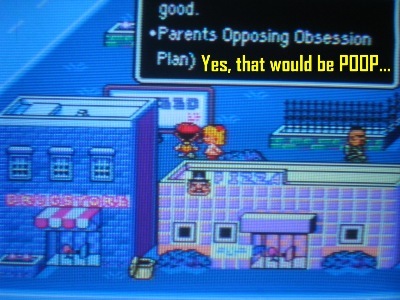 That’s kinda the role one might initially think Paula plays, but there’s so much more to her. Try incredible psychic powers and one mean frying pan. Paula loves to scramble eggs, if you get my drift. She doesn’t mind rolling up her sleeves and getting her hands dirty. Hailing from Twoson, her mother runs the Polestar Preschool. Paula’s the first one to join you on your epic quest, and you must rescue her from the clutches of an evil cult called the Happy Happy Village, led by Mr. Carpainter. Being one in touch with her spiritual side, Paula can pray in a pinch. I renamed her as Jenny, based on my own Winnie Cooper growing up. No healthy childhood would be complete without the aid and presence of a best friend. 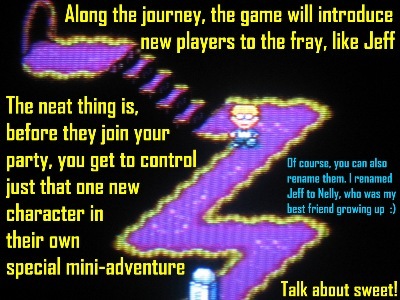 While Jeff is not touted as Ness’ best pal, I like to think of him as such. The mechanical genius of the team, Jeff is son to a famous scientist. It shows, as he can use machines and gadgets that no one else on the team can. He also has a knack for repairing broken devices, which proves to be invaluable. While he doesn’t possess any psychic ability, Jeff makes up for it with his tremendous knowledge of being able to fashion great weapons out of broken items. He might be a little weak offensively, but his IQ is critical to the group’s success. I renamed him Nelly, in honor of my childhood best friend, Nelson. 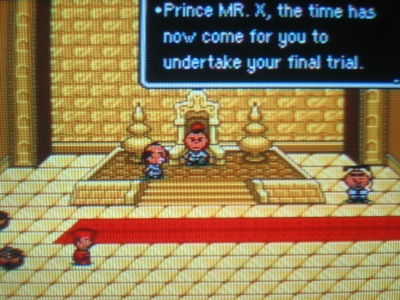 The mysterious prince from the East (Dalaam to be precise) is the third and final friend to join you in your quest. Being the oldest member of the group, plus possessing that ever so mysterious charm of being from somewhere far, far away, Poo has great physical, mental and spiritual strength. One of his best talents is the magic ability to assume the shape of an enemy attacker (known as Mirror). Trained in ancient martial arts, this mystical fighter is a much welcomed addition when he finally enters the fray a decent way into the game. He is a bit of a ladies’ man, too, which gives his character an interesting layer to say the least. I renamed Poo to be Sushi-X, in honor of a family friend growing up who, much like Poo, was older than I was and had sort of a mythical aura about him. 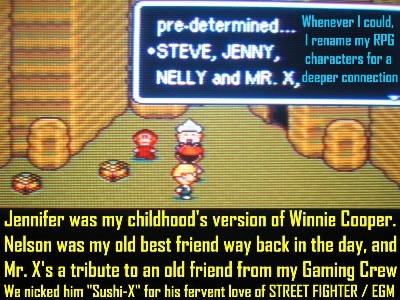 Everyone in my gaming group called him Sushi-X because he loved EGM and Street Fighter II. 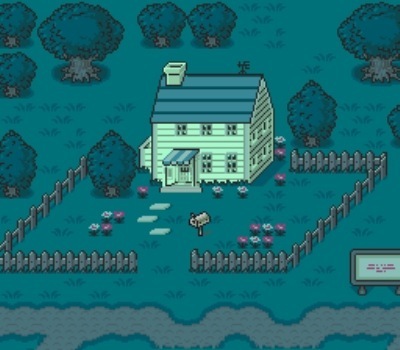 It’s another idyllic sunny day in the small, sleepy town of Onett. 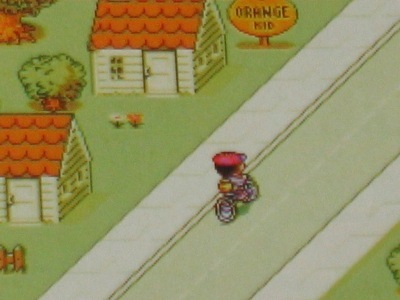 Turning off your Super Nintendo, you grab your bike and head off for your weekly paper route. 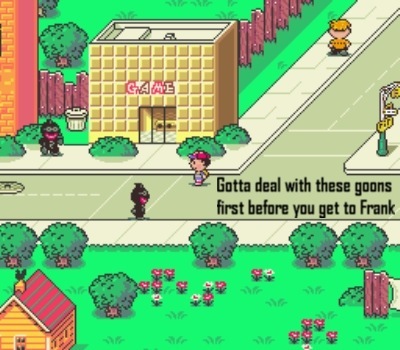 You’ve been working hard to save up enough to buy that new Super Nintendo RPG EarthBound. 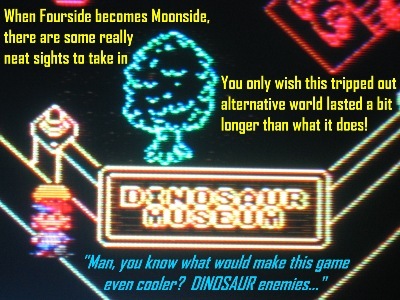 Hell, you’re so ambitious you even ride out as far as Twoson. You certainly don’t mind it, as there’s nothing like riding your 10 speed bicycle, the wind whipping against your face, that open road ahead. For that small window of time, you’re a free man. Riding out to Twoson was always a bit of an adventure. You could almost feel the whiskers kicking in. Times have changed now. 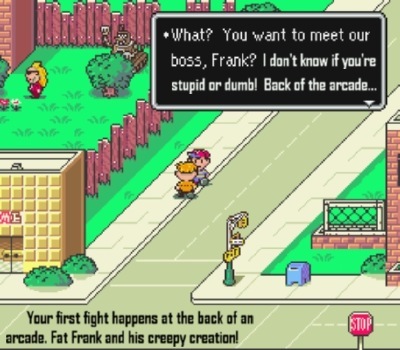 Kids aren’t allowed to go out alone anymore… but back then… this was our life. Besides, it was in Twoson where your crush, Jenny, resides. 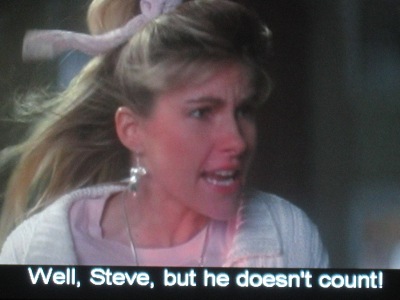 You’ve stalked, uhhh, I mean, seen her working around the preschool whenever you passed by. You never had any houses on that block of town, but that never did stop you from willingly and happily taking the scenic route. 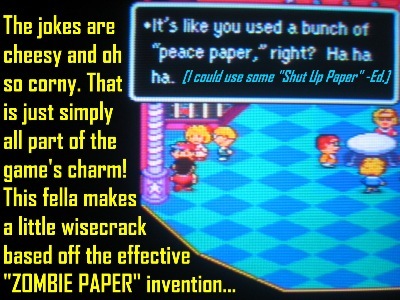 Having hand-delivered the odd paper or two to Orange Kid, you’ve developed a bit of a relationship with him. He is Twoson’s infamous inventor, well, one of the two. The other is Apple Kid but no one likes him. Orange Kid on the other hand is a chick magnet. After all, ya can’t compare apples to oranges… [har har -Ed.]. 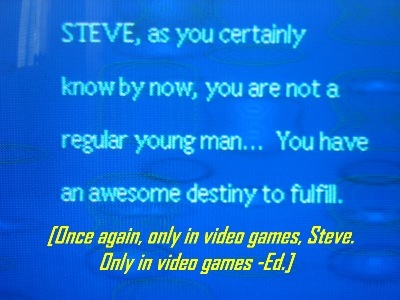 Being that you’re Steve, and NOT such a ladies’ man, you decide to stop by today for a bit of advice on how to win hearts and be more than just another sappy shoulder to cry on. Normally busy, Orange Kid is in a very giving mood today — he spends the better part of an hour divulging some insider tips that’s sure to make even Steve a certified G and a bonafide stud. Rejuvenated, you spend the next couple hours over at the flea market in Burglin Park and Twoson’s pride, MACH PIZZA. 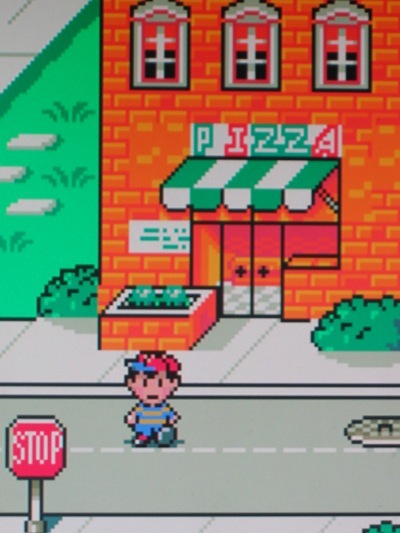 Sure, Onett’s Burger Barn is 5-star quality according to their 275 Yelp reviews and counting, but Onett’s not exactly known for its pizza. It’s just another reason why you never complain when it’s time to ride over to Twoson. But you never share this with Orange Kid, fearing that he just might laugh at you if he ever knew the real reason. BLINK BLINK. Your eyes open slowly as you realize you fell asleep in Burglin Park. The once inviting sunshine has withered, giving way to a cold, bleak darkness. 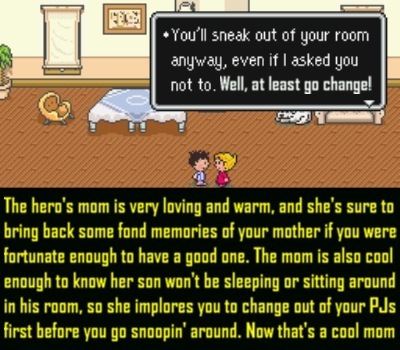 Mom’s probably worried but this is the mid ’90s when kids could get away with such things. Your bicycle still safely beside you, you hop on and bound homeward. Good old home. It’s your haven. Even though your dad isn’t around, you have almost everything you could want. 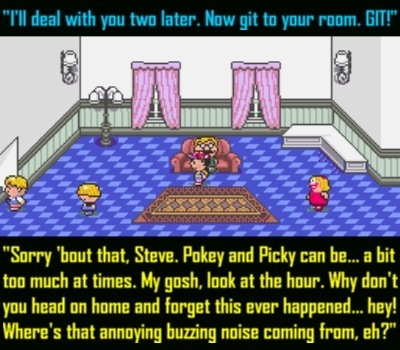 Sure, you got annoying neighbors, but hey nothing’s perfect. 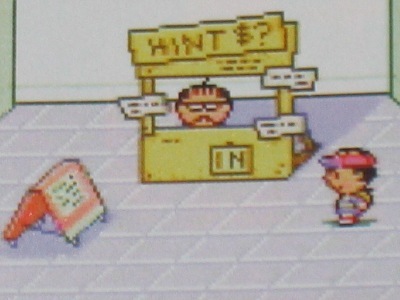 As you head out of Twoson and back to Onett, you beam ear to ear having learned some of Orange Kid’s secrets of the trade. There’s no way Jenny can resist you now. 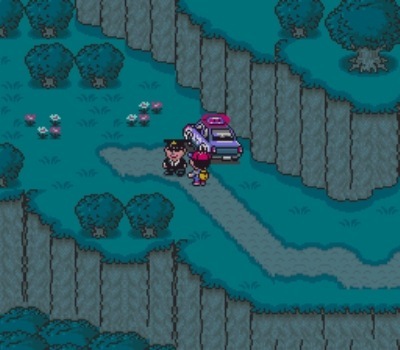 After “going home pronto” (AKA sneaking about), you find your annoying neighbor, Pokey, poking around in police business. 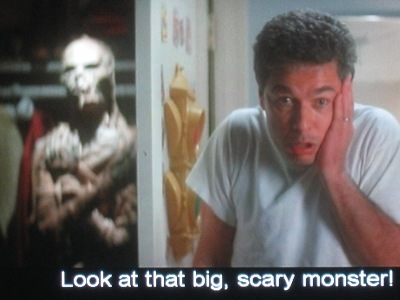 Whatever’s happening here tonight has to be huge, and you’re not gonna miss it for the world. Atop the hill, as the police drag you away like a rag doll, you catch a glimpse of a fallen meteor. Rubbing your eyes in disbelief, you wonder if it’s just a dream. Well I’ll be damned. 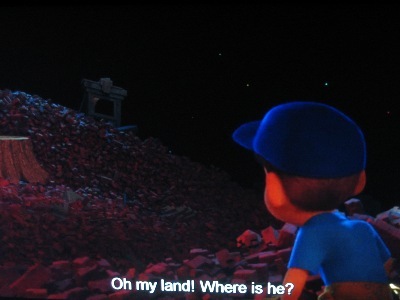 Or rather, oh my land! 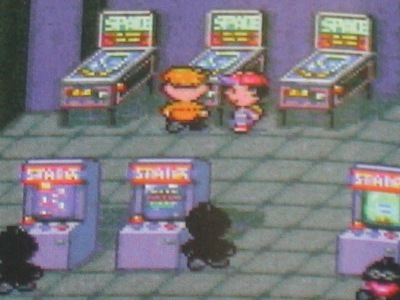 On their trek home, the boys are stopped dead in their tracks when Star Man Jr., one of Giygas’ nefarious henchmen, appears out of nowhere to confront the 3 boys. Luckily, Buzz Buzz, the source of the voice, is by your side. Protecting the crew with his psychic shield, our hero is able to defeat Star Man Jr. After which, Buzz Buzz warns them the worst is yet to come but he has faith. 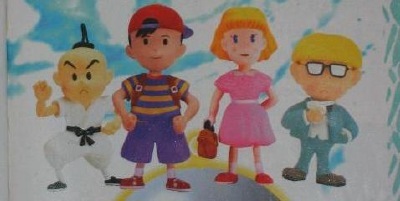 Legend has it 3 boys and a girl are destined to save the universe. 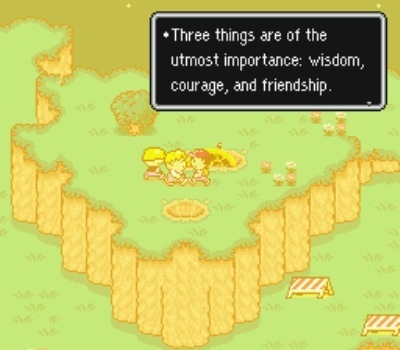 Buzz Buzz believes you are one of those 3 brave, young warriors. 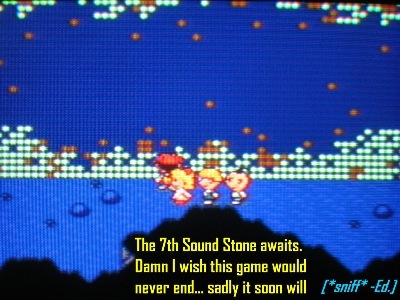 In his dying breath, Buzz Buzz gives our hero the Sound Stone. “To defeat Giygas, your own power must unite with that of earth.” Our hero sets off to visit 8 sanctuaries to record the sound of each with the Sacred Stone. First stop? The infamous Giant Step! It truly is. 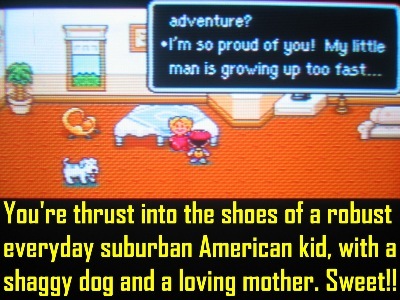 Combining a modern setting with your typical suburban town in Anytown USA, any kid who ever grew up in a sleepy suburb in America can instantly relate. 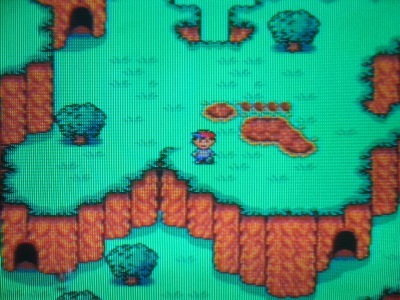 From the moment the game began, I knew right away I was in for one magical, epic journey. 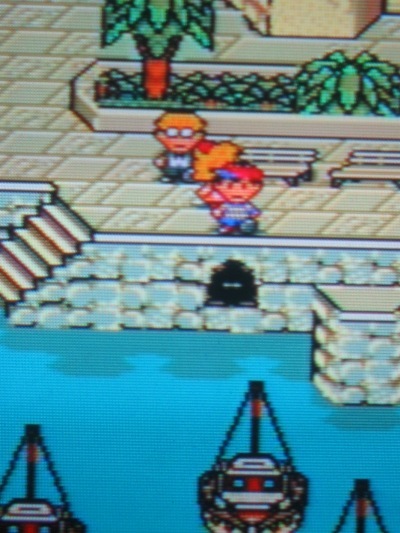 There’s been some major hate dumped on the crude visuals of the game… but I personally love the look. They are INTENTIONALLY retro-fied. I like to think of it as 12-bit… it’s not quite 8-bit NES yet it’s not quite 16-bit. 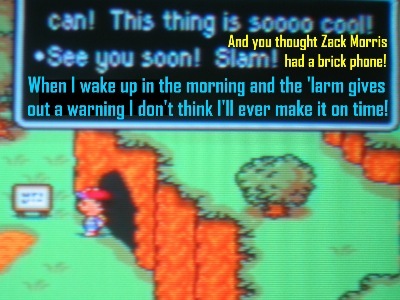 It’s just EarthBound. And his creepy robot. 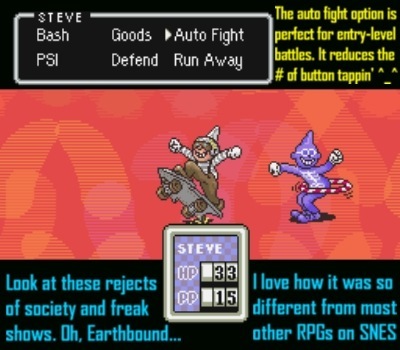 Purge makers EarthBound fans? It draws you in, like a good book or movie! I’m at the corner just in time to see the bus fly by! It’s alright ’cause I’m saved by the bell! If I can hand it in tomorrow, it’ll be all right! It’s alright, ’cause I’m saved by the bell! 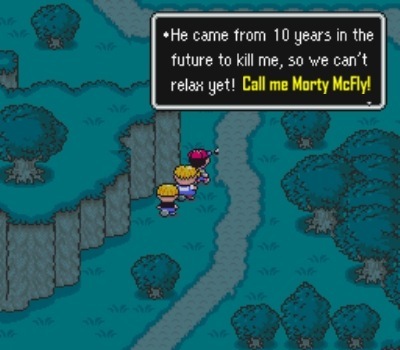 Wait, who is Mr. 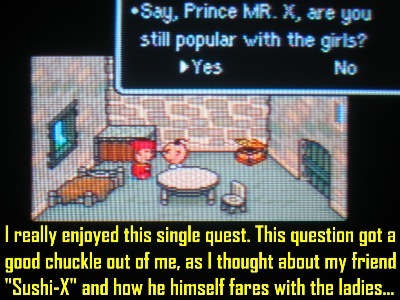 X?! You are introduced to the 4th and final player of your party, Poo, or in this case, Mr. X. He’s a smooth cat prince living in the palatial mountain village of Dalaam. Take X on a life-altering quest to gain the power of wisdom, valor and patience as you karate chop and decimate all obstacles blocking you from enlightenment. After all, you simply can’t beat a hideous alien force without the pivotal aid of a badass martial artist who hails from a far away land, can you? Well, maybe, but it sure as hell wouldn’t be nearly as fun. 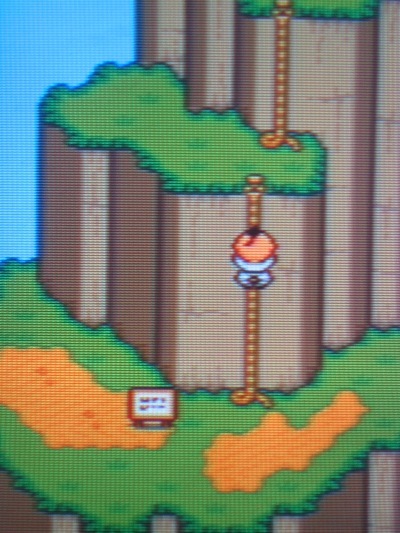 It felt so satisfying gliding down these ropes! Jennifer and Elaine were the two hottest girls in the 5th grade. Nothing could beat being in the same class with your best friend as well as the two cutest girls in school. 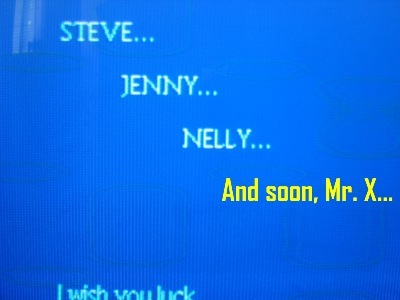 Nelson favored Elaine while I preferred Jennifer. 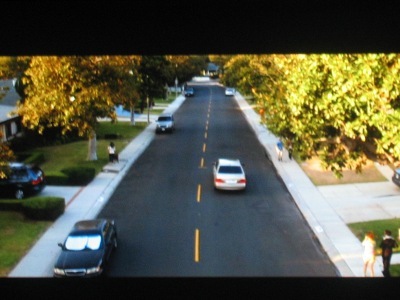 Sadly, my family moved in the middle of 7th grade and that was the last I saw of Jennifer… until 7 years later. One day during my sophomore year in college I was walking down this long hallway when a young beautiful lady walked right by. Instantly I got a huge whiff of 1994 and was suddenly transported back to my childhood. Could it be, was it — yes, it was Jennifer. Too paralyzed to say anything, I could only watch in silence as we went in opposite directions until she disappeared around the corner. I kicked myself for not saying hi, hoping that we’d bump into each other again. As fate would have it, not long after that, we did. I asked her if she remembered me from elementary school. She smiled warmly and said “Of course. I remember you suddenly left one day in junior high and that was that.” I nodded, the both of us soaking in the moment. 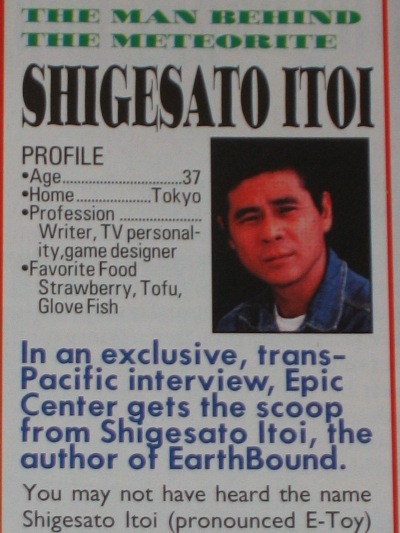 Life was different back in the ’90s. We didn’t have Facebook or email to stay in touch. 7 years is a long time not to see or speak to someone but she remembered me. It meant a lot. A long time ago I used to wonder what might have happened between me and Jennifer had I never moved. My imagination wandered to an alternate future where we’re happily married with two kids, a dog and a white picket fence. She’s now married with a kid. The last time I saw her was about five years ago. I was acting in a musical and she came out to support me. We exchanged pleasantries and hugs after the show in the lobby. 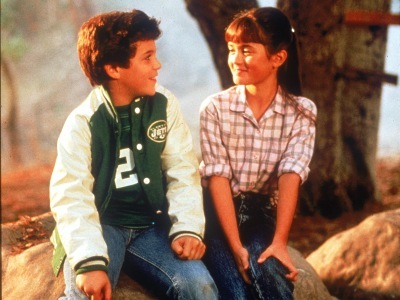 And that was the last I ever saw of Jennifer — my childhood Winnie Cooper. 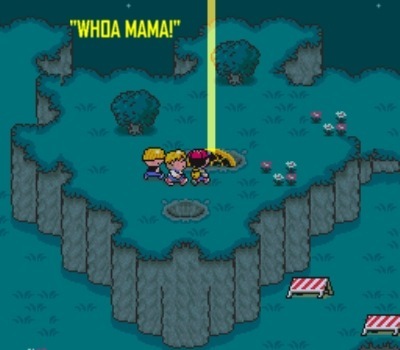 As many of you know by now, EarthBound is the 16-bit sequel to the 8-bit Famicom game Mother. Mother was released in Japan July 1989, and was set to come out in the US September 1990. 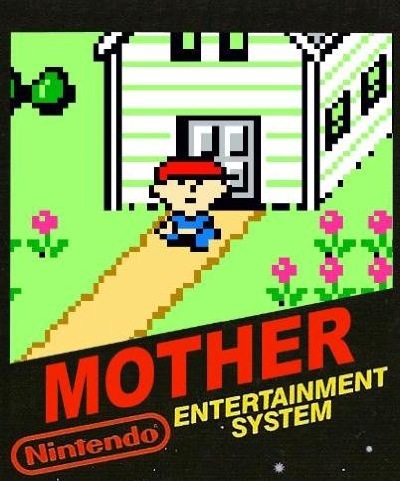 But with the impending launch of the SNES, Mother was never released. There’s a pretty fascinating history behind this, and you can find out all the sordid details by way of a quick Google search. There are also some great YouTube history videos on this subject matter. 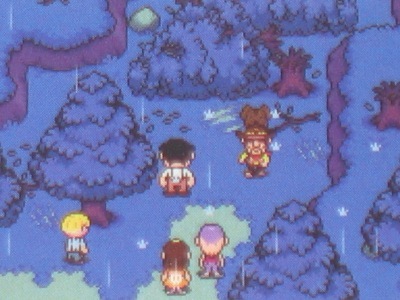 The game has since been fan translated, and is known now as EarthBound Zero. 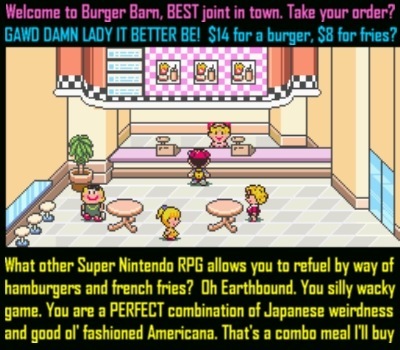 EarthBound on the SNES is known as Mother 2 over in Japan. 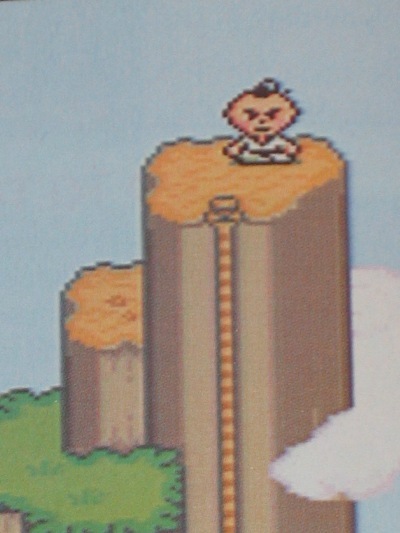 There was also a Mother 3 released in 2006 for the GBA, but it never left the land of the rising sun. 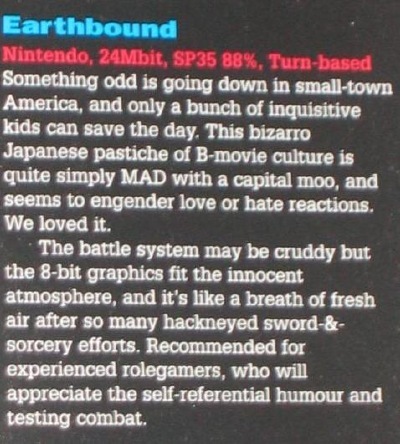 EarthBound is the only Mother game ever to see an official US release. 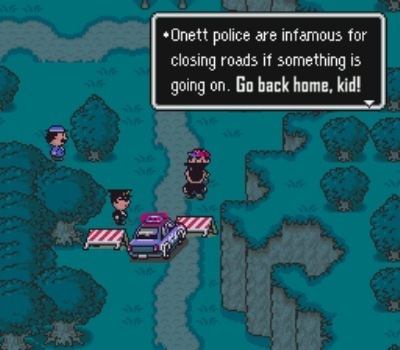 A crime if you think about it. 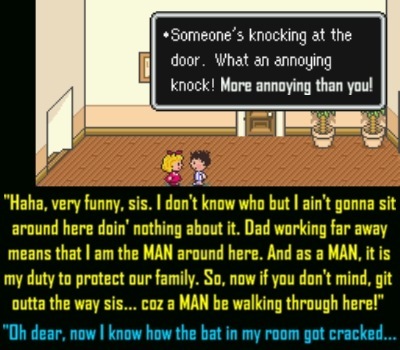 Mother 3 has since been fan translated. 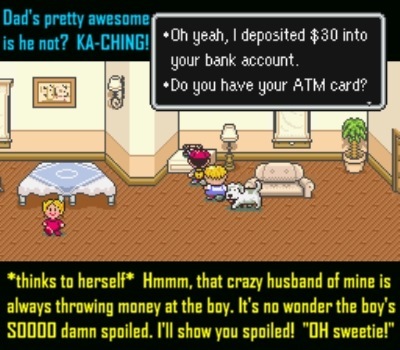 To date, this has been the final game in the beloved Mother series. It’s sad that two of the games never left Japan. 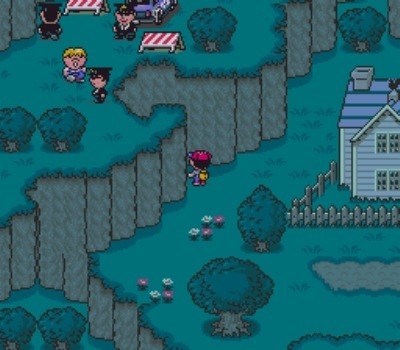 It’s a bit sad also that many gamers know of Ness via Super Smash Bros and not EarthBound, although his Smash outings have definitely stirred interest from people who came in knowing nothing about the Mother series. I guess that’s not a bad thing at least. 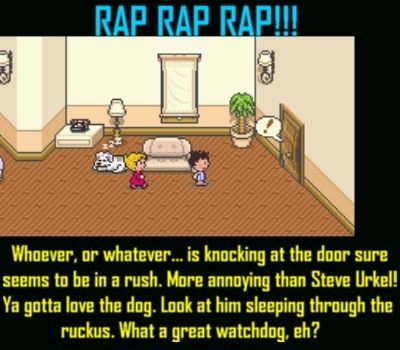 There are 2 SNES games I would highly recommend to EarthBound fanatics. Both of them are Super Famicom exclusives with English fan translations available. 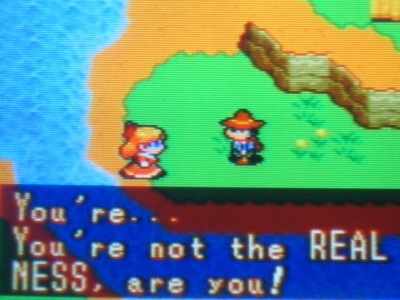 The first title is called Gunman’s Proof which is actually an action RPG along the lines of a Legend of Zelda: A Link to the Past. It’s got tons of charm and quirkiness and is simply a load of fun. 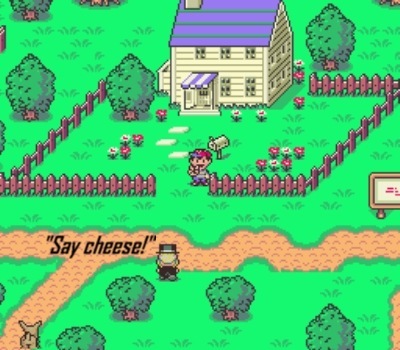 Think Zelda meets the wild wild west with a dash of EarthBound thrown in for good measure. 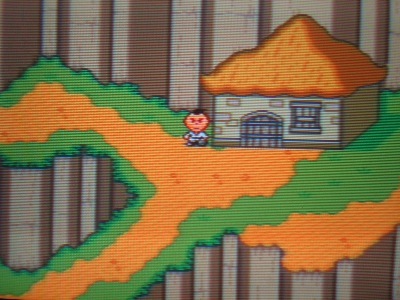 It’s one of the most criminally underrated SNES games out there. It’s on the short side but I can’t recommend it enough. The second is Adventures of Hourai High. Wacky and zany describes it best. 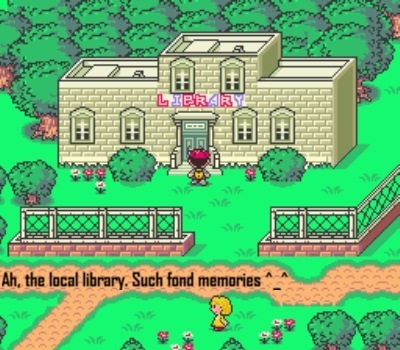 It is like EarthBound meets Final Fantasy V. Taking place in a Japanese high school setting, you can join a wide variety of clubs — this is how you gain different skills. 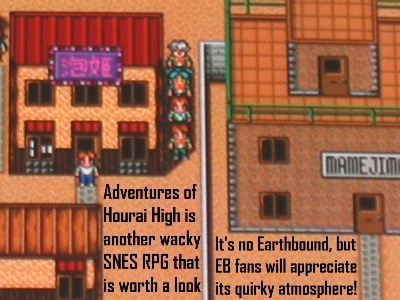 Its sense of offbeat humor is extremely reminiscent of EarthBound, and while it has its fair share of flaws, Hourai High is worth a visit. 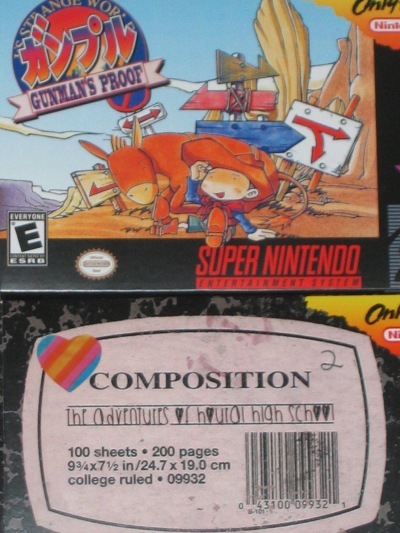 Gunman’s Proof is one of my personal favorites. I love the game’s humor, style, atmosphere and fun fast-paced gun slinging action. It’s too damn short (similar to The Twisted Tales of Spike McFang) but it’s a blast, pardon the pun, while it lasts. If you haven’t played it before, I highly suggest rectifying that. 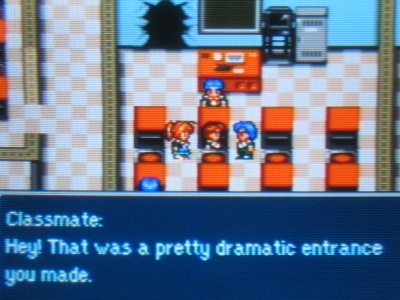 Adventures of Hourai High is a unique RPG. You can play as a boy or girl. 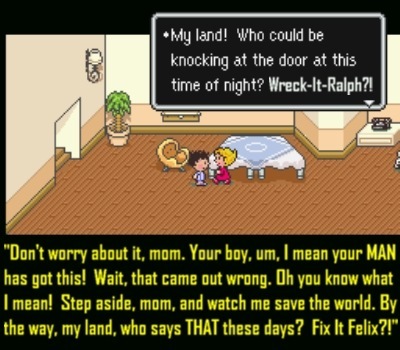 The dialogue is hilarious and almost as entertaining as EarthBound. Sadly, a few key flaws hamper Hourai High from being a notably nice game. The encounter rate is way too high, and there was a major screw-up: weapons and armor equipped do not change your stats. Somehow, the programmers botched this and so you only increase in stats by leveling up. In essence, you never have to buy new weapons or armor. 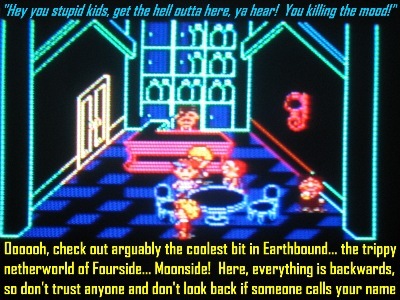 I still recommend it to diehard EarthBound fans however, despite its glaring flaws. 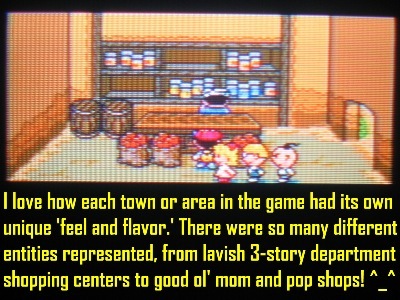 EarthBound is one of those interesting and fascinating cases of a game that got its fair share of love when it came out originally. But really it wasn’t until years later that it exploded in popularity. 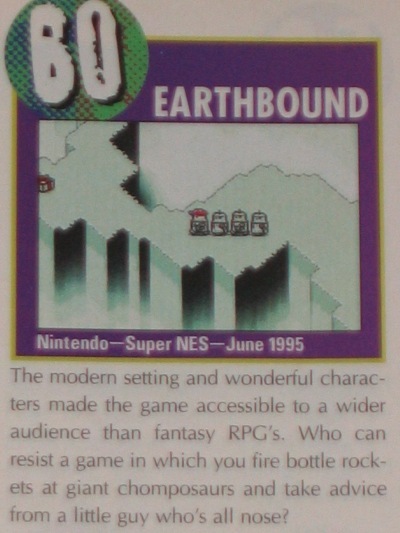 Curiously, EGM never did review it. 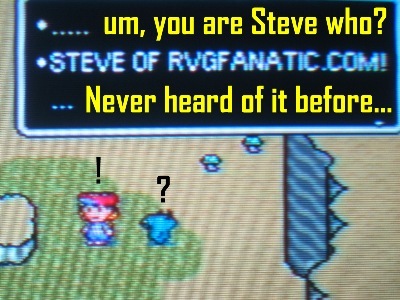 GameFan did, however. They gave it scores of 85, 90 and 92%. 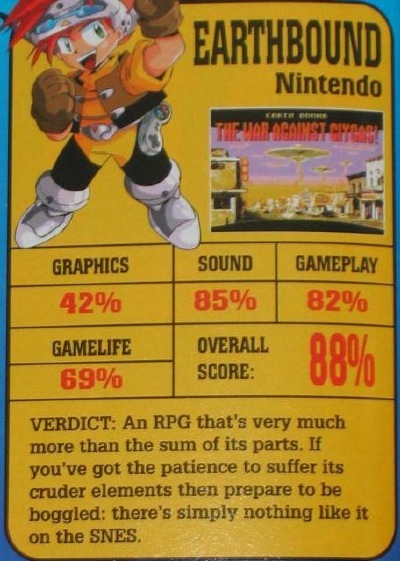 Super Play Magazine scored it 88%. 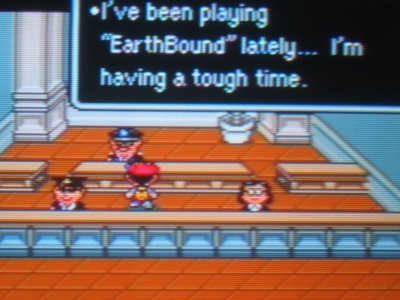 In a recent poll I asked the public to rate EarthBound on a scale of 1-10. One voter gave it a 1. Another gave it a 7. A few rated it an 8, but the majority of readers voted 9. 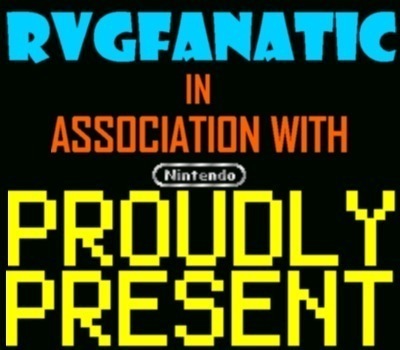 Of course, there was a healthy smattering of fans who gave it the perfect 10 out of 10 score. Pretty much what I expected — lots of 9s and 10s with one vocal minority who gave it the lowest rating possible. 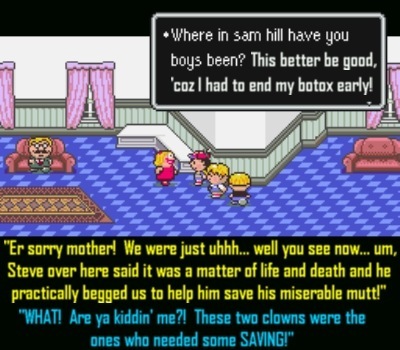 Oh Earthbound, truly the polarizing RPG of our time. 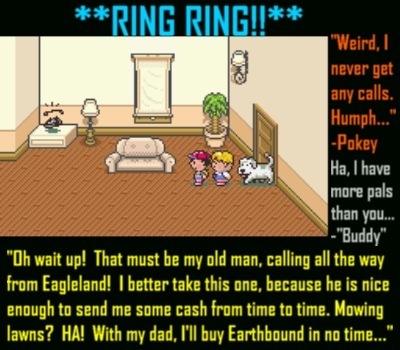 I didn’t play EarthBound back in the day. When I started it up in November of 2012 it was an entirely fresh experience. 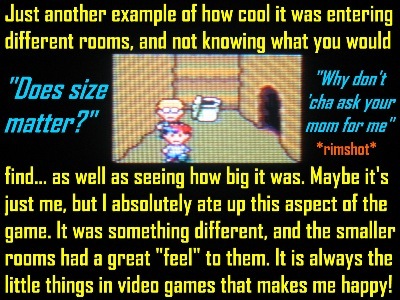 Therefore, zero nostalgia goggles here. Two weeks and 30 hours later, I knew I’d just played one of the most engrossing and captivating games ever. 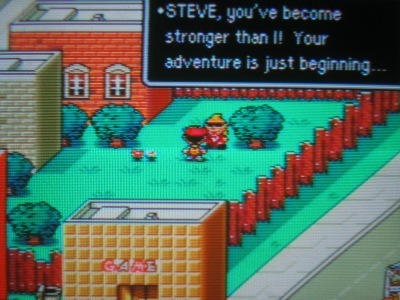 From the refreshing and comforting sights of suburbia in the early stages of the game to the more exotic locales found later on, it took me on an incredible journey of youth, bravery, loyalty and adventure. 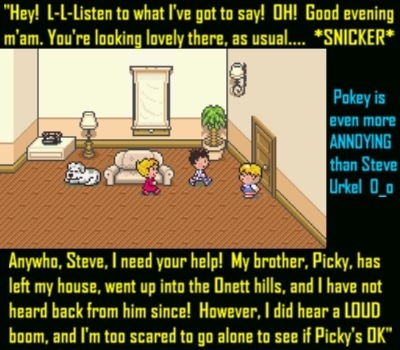 I felt like I was playing an RPG that combined Goonies, The Wonder Years, Peanuts and Dragon Quest. Not a bad little recipe! 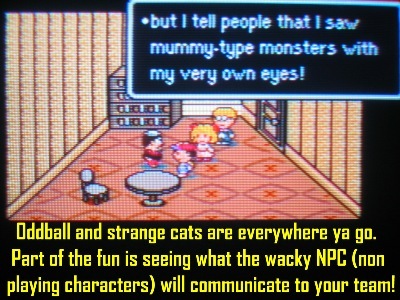 If you love RPGs and you still haven’t played this, STOP whatever you’re doing. And go rectify this matter. Now. 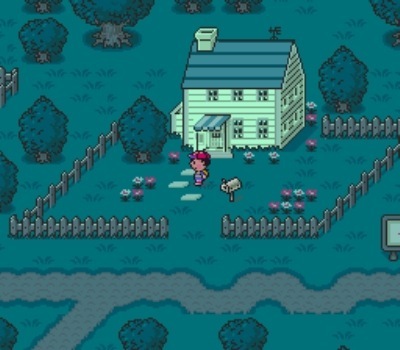 EarthBound perfectly captures the sheer awe of childhood, combined with a longing desire to push one’s suburban limits to the very brink. Playing the game made me feel like a kid again. Like I was back in my old hometown haunts hanging out at the arcade, going around town to the local pizza joint and flipping through the latest Goosebumps book at the library. And that’s just the beginning of the game. 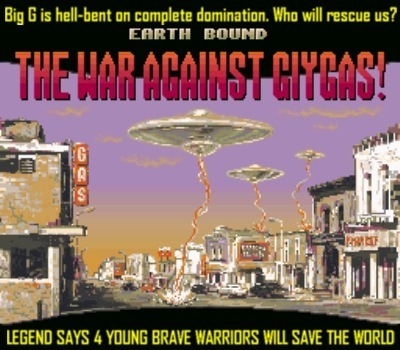 Soon it all transforms into something much more, as you meet new friends and unlikely allies all in the name of stopping an implacable force known only as Giygas. 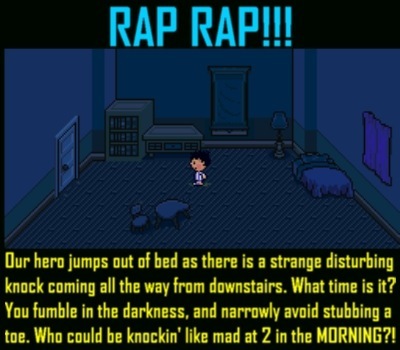 The game opens with our hero in bed in his striped pajamas. It seems like any other ordinary night in the ol’ neighborhood of suburbia. 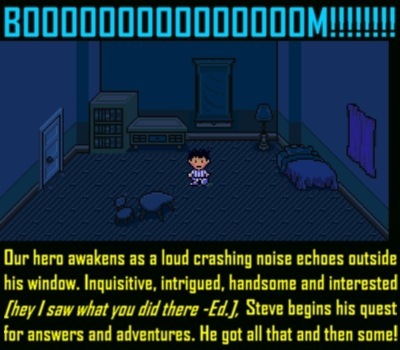 You are then awoken — it’s great subtle symbolism because for the first time in your young prepubescent life, you’re truly awake. The many wacky, perilous and funny events to unfold all shape this tremendous coming-of-age adventure. You leave home and like any other epic story ever told, you embark on a journey that changes you from a boy to a young man. You’ll conquer many obstacles — both external and internal. 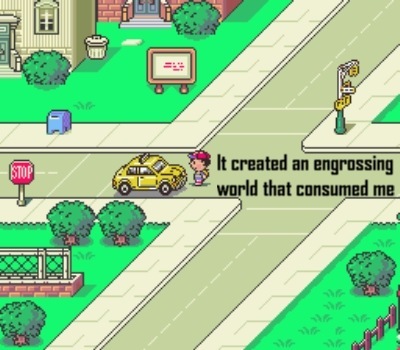 Playing EarthBound was like being in a never-ending state of reverie, and I loved every damn second of it. 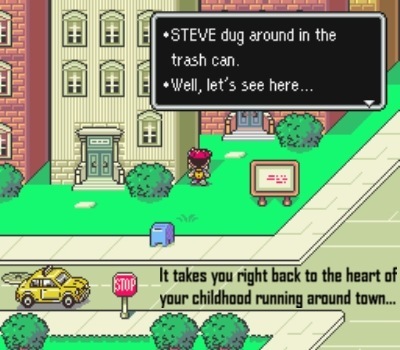 There’s a certain timeless, nostalgic quality about this game. It stirs the feeling of being a kid in Anytown USA who leaves home to voyage on the adventure of a lifetime. 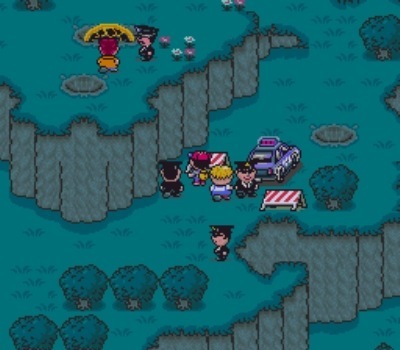 From your local 3-story mall to far away lands exotic, mysterious and menacing, EarthBound tugs on all the right notes to create an experience like no other. 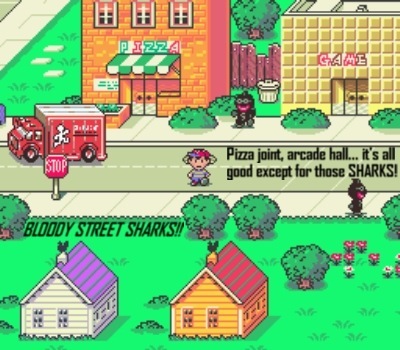 The music’s an eclectic mix that’s among the best you’ll hear on the SNES. The gameplay is fairly standard, but there are some nice ideas here like instant wins and a rolling health meter. 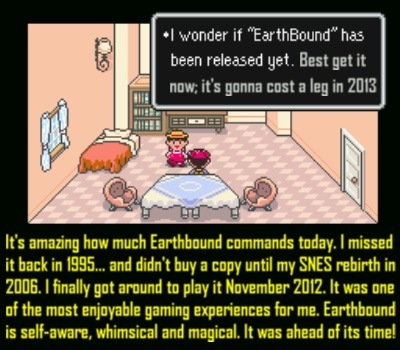 But EarthBound is so much more than this. 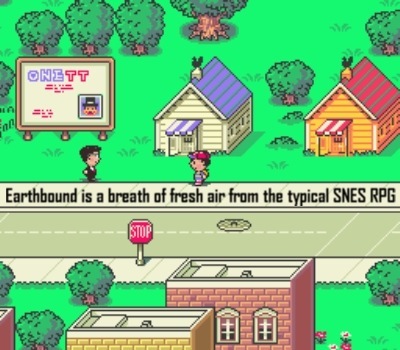 EarthBound is, quite simply, a quintessential tale of growing up and overcoming trials in a not so perfect world. It’s light-hearted yet serious when it needs to be. 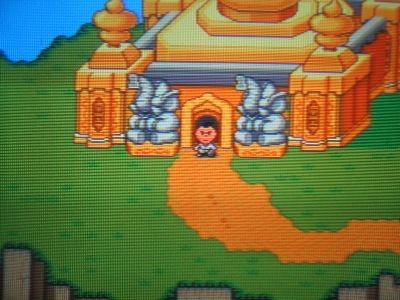 The many diverse locales are great and I find the visuals to be a bit underrated. 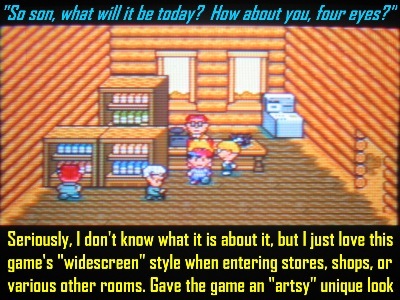 Many like to dismiss it, but I love the style and can’t imagine the game any other way. 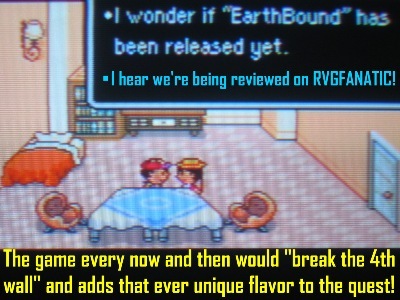 There’s a reason why EarthBound has so many fervent fans. 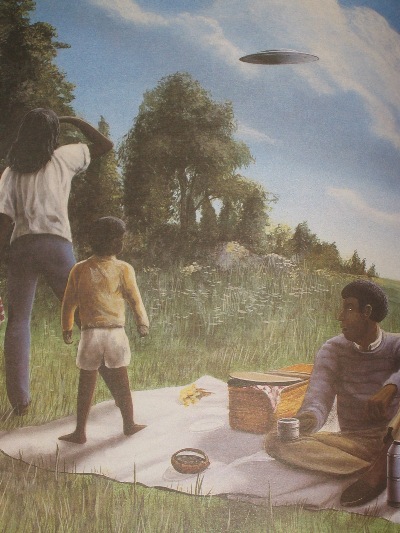 It was a work of art that resonated with our inner child, leaving us with a lasting and memorable impression. 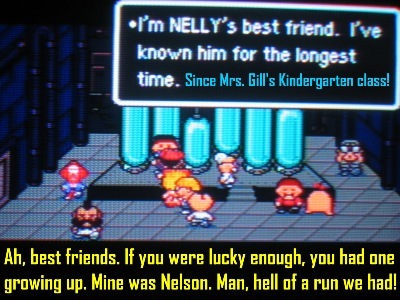 Indeed, the tale of Ness and his friends is one that has stood the test of time. And one that I believe will continue to do so for generations to come. Loved this review! 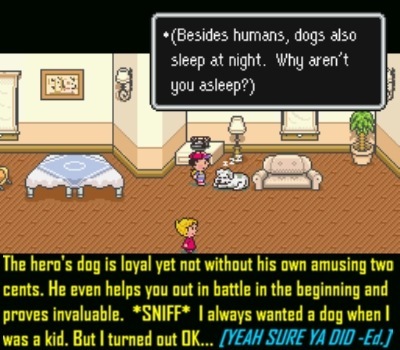 I need to go back and replay this game because I never beat it when I got stuck on Carbon/Diamond Dog. 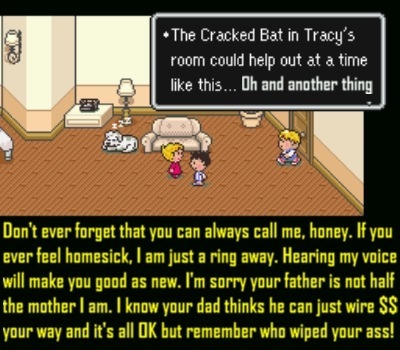 Just posting this below as an addendum, I don’t know if you want to add an update to the article, but I am guessing not too long after you posted this Nintendo officially released the original Famicom Mother with an English translation as Earthbound Beginning for download on the Wii U Virtual Console. Thank you Dale. 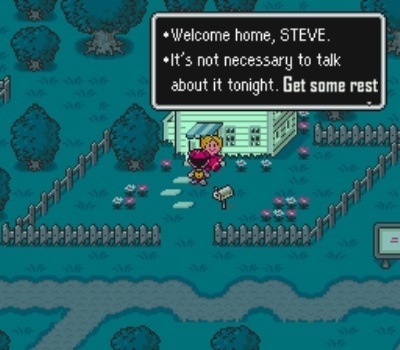 Yes, I agree, you need to go back and finally beat it. It’s a journey well worth seeing all the way through. 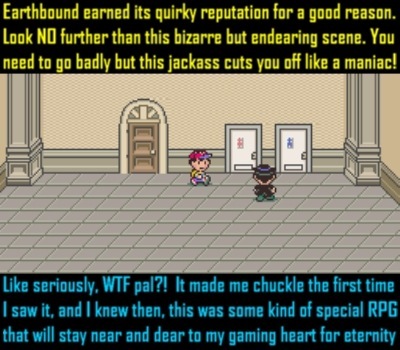 My EarthBound review is very near and dear to my heart as well. 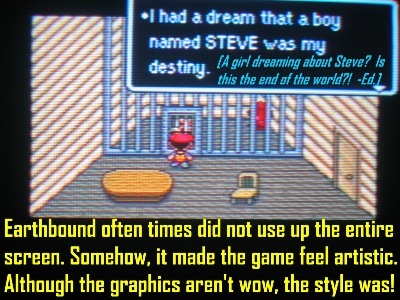 I no longer add text to my game pictures (the program I once used for nearly 10 years went obsolete) but I’m thankful I was able to still use that program while I was writing my EB review. 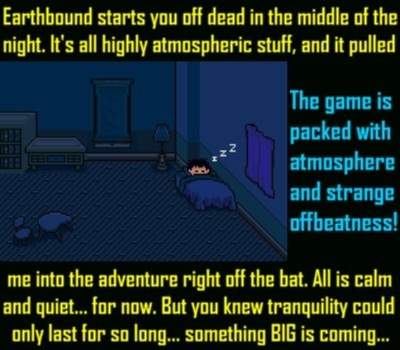 The text really fits the game pictures well and I’m so proud of the “atmosphere” of this particular review. 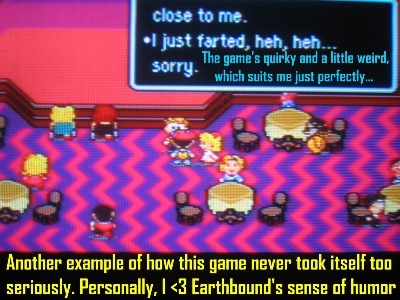 I feel it captures the whimsical charm of the actual game itself. 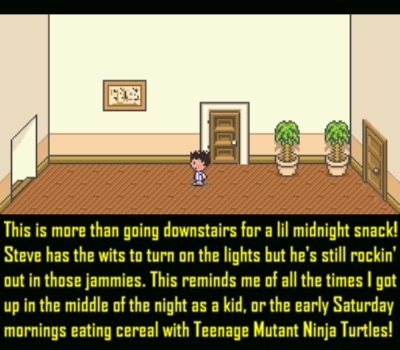 It’s a very nostalgic review for me. I wrote it early February 2015 so it’s only been 3 years now but for some reason it feels like I wrote it 10 years ago. I spent hours and weeks crafting that review. It was well worth it as it’s definitely one of my favorite works of all time! I felt I did the game justice and was able to add my own two cents in an interesting way on a game that has already been reviewed a thousand times before. As for your addendum, thanks for sharing that. I might go back and edit it. Good catch!